It has inherited from "Enchanting" these unusual pink tones. 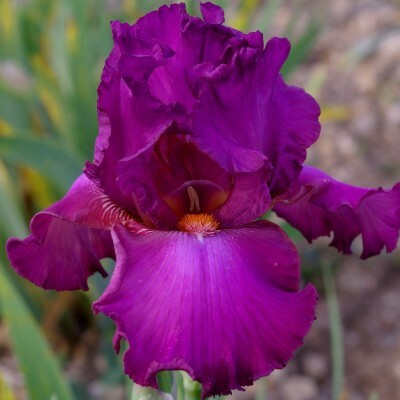 Deep purple-pink standards and medium purple-pink falls, lighter in their centre. Thick burnt orange beards. Ruffled flowers. Excellent descendant of "Toile de Jouy"! Bright yellow standards, the falls a paler yellow with a small light brown border. Orange beards extended by a small, feathery, soft yellow spur. Round, well-bodied flowers, good branching, a great many buds (12 on average), ensuring a long flowering period. One of the last to flower and very original! 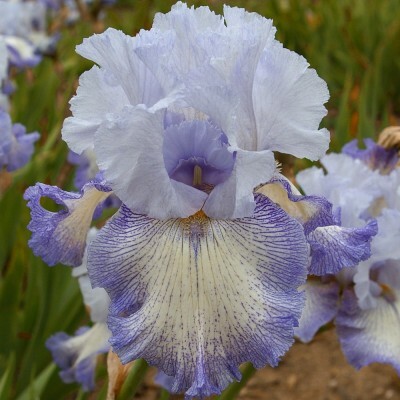 Pale yellow standards and almost horizontal, lavender-white falls. 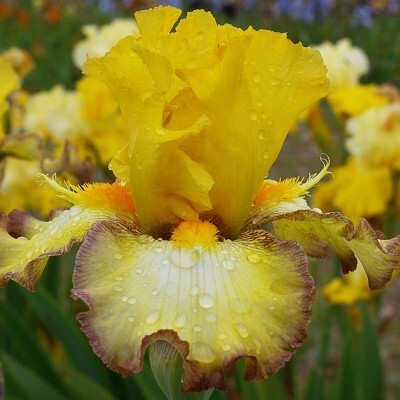 Golden yellow beards extended by a long, white spur tipped with lavender. Very tall, well branched stalks. Perfection in lavender-white tones. Silverado's broad, well sculpted flowers are harmoniously ruffled and the tall sturdy stems display 8 to 9 buds.